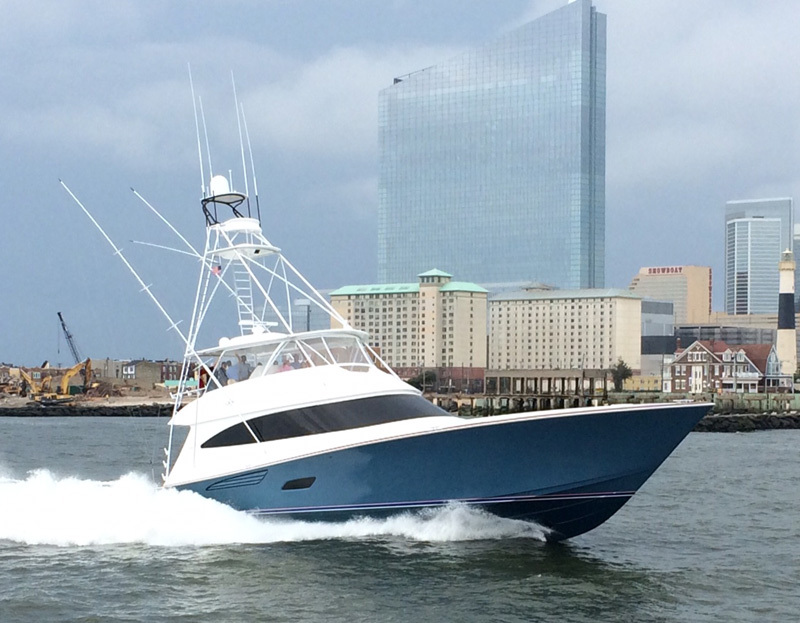 Viking introduced its latest model the 80'c last month which has received great reviews, especially about the tower. 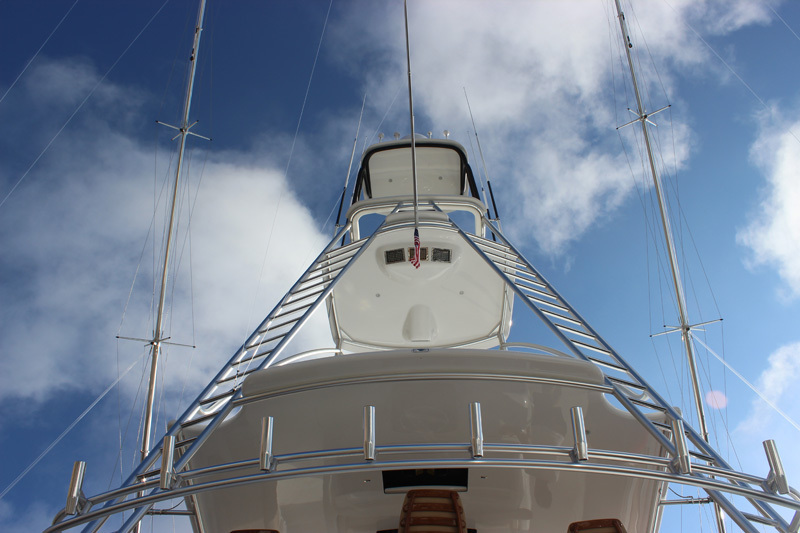 The tower that was installed is an 11' gap brushed pipe tower with 3" pipe for the front legs and 2 1/2" aft legs. We installed our large radar pod for a teaser and drop down box, molded in communications dome pod on the hardtop with (8) tri colored led lights on the underside and nav lights. 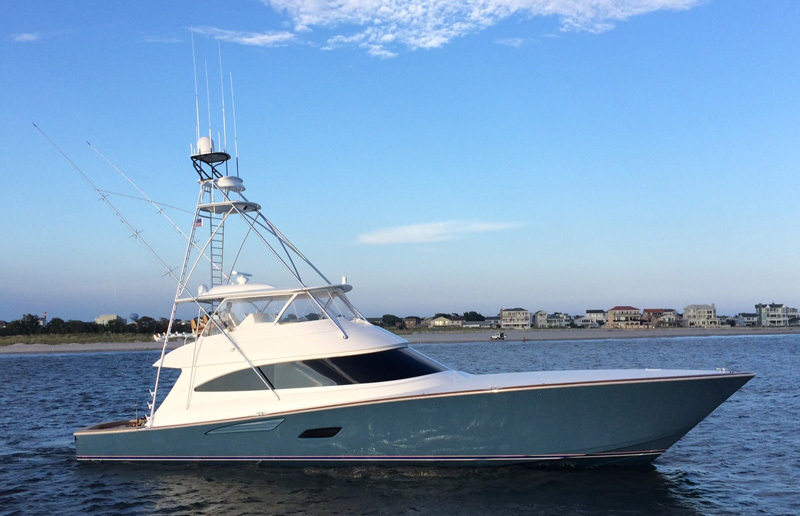 Also installed on the tower was our 63" control box, LED spreader light pods, sunshade frame painted black, curved bracing and 48' - 4 spreader "Bigg Rigg" Rupp hydraulic outriggers. Please look in our gallery for more photos on the 80'c.